The Danish designer and cultural critic was someone who intensively dealt with science, for instance, with calculations with regard to the incidence of light. Already in 1926, he created a refined lighting solution by designing the PH light, which is provided with several shades: the shades are arranged in a way that they form a logarithmic spiral with the illuminant being located in the centre – the Louis Poulsen PH 3/2 table lamp is also designed according to this principle. The resulting lighting effect is described in the "Light and lamps" module. The differently sized shades of the Louis Poulsen PH 3/2 are made of hand-blown, three-layered opal glass. They are sandblasted on the inside and glossy on the outside. 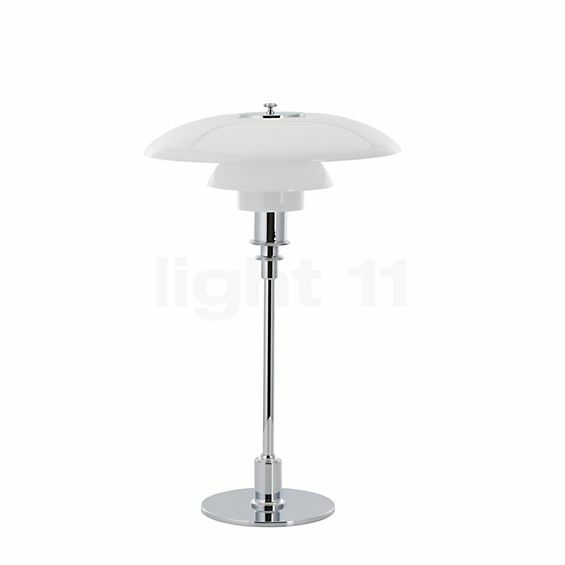 The lamp base and the pole are made of high-gloss chrome-plated brass. The Louis Poulsen PH 3/2 table lamp is a piece by Poul Henningsen from 1932. 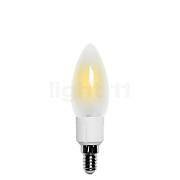 In order to operate, the table lamp needs to be equipped with an E14 lamp, such as a halogen or LED lamp. The PH 3/2 combines elegance and a sophisticated lampshade system. 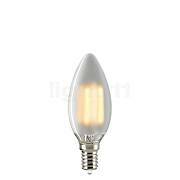 A shiny chrome plated element on top of the lampshade complements this elegant design. The special shade arrangement of the Louis Poulsen PH ensures that the illuminant is practically not visible. This means that any production of glare can be excluded. 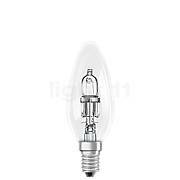 The table lamp softly and diffusely reflects the light predominantly downwards; additionally, soft light is emitted to the sides. 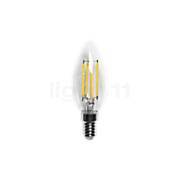 light11 recommends using halogen lamps. This category of lamps is well known for its warm-white light with a brilliant colour rendering. The wattage must not exceed 40 watts. Tell other customers and us about your experiences with the PH 3/2 table lamp ! 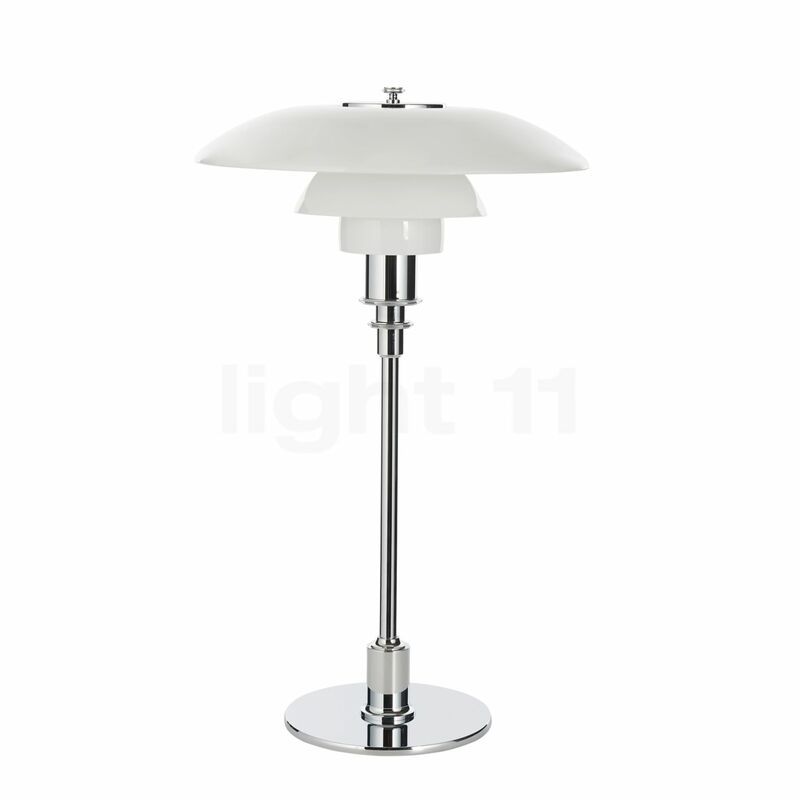 The about 48 cm high Louis Poulsen PH 3/2 table lamp is a popular lighting solution in many areas of the house. An area of application is, for instance, a sideboard or a commode in the living room, where this design classic attracts all the attention even while the light is switched off. As soon as the light is switched on, it creates a homely oasis of light that offers an unparalleled ambience within the room. The 3/2 table lamp from Louis Poulsen is also an enrichment in terms of decoration as well as lighting technology when it is placed on a bedside table.